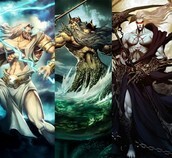 In Joel Skidmore’s Mythwed.com, Zeus is the most significant god in Greek Mythology that portrays an image that is compassionate and revengeful at the same time. Cronus was married to Rhea and was the king of Mount Olympus but he never wanted to lose that position due to that, he swallowed each of his kid’s whole once they were born. He finally had his last child named Zeus, Rhea didn’t want her husband to do the same thing he had done to all her other kids so she hid him in a cave. Once he grew up he went and overthrew his father and got his siblings back. For example, Zeus made his own father Cronus, bring back his siblings and shared equal parts with them without even knowing how they are and their personalities. “When he had grown up, Zeus caused Cronus to vomit up his sisters and brothers, and these gods joined him in fighting to wrest control of the universe from the Titans and Cronus, their king” (Skidmore). 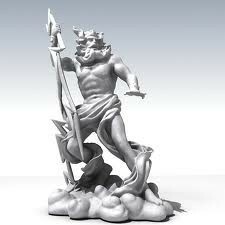 He took revenge towards Cronus for swallowing his brothers by overthrowing him, this shows that Zeus cared for his brothers without even knowing them he could off easily left and not saved them at all. Although Zeus became the next ruler of Mount Olympus he shared equal parts with his siblings. He had an impact back then he was seen as the hero of the world for saving his siblings and for overthrowing his father. Skidmore, Joel. "Zeus." Mythweb. N.p., n.d. Web. 14 Nov. 2014. "Zeus." TurboSqid. N.p., n.d. Web. 14 Nov. 2014.
the sea in the middle and Hades in charge of the underworld on the right. Blogspot. N.p., 17 Nov. 2011. Web. 14 Nov. 2014. Greek Myths, Zeus Part 1. Youtube. N.p., 8 Jan. 2013. Web. 14 Nov. 2014.